This post is sponsored by Stonyfield® Organic Kids® but all opinions are of my own. The kids have been seeing hearts and reds and pinks at the stores. They know immediately what’s coming! Valentine’s Day. 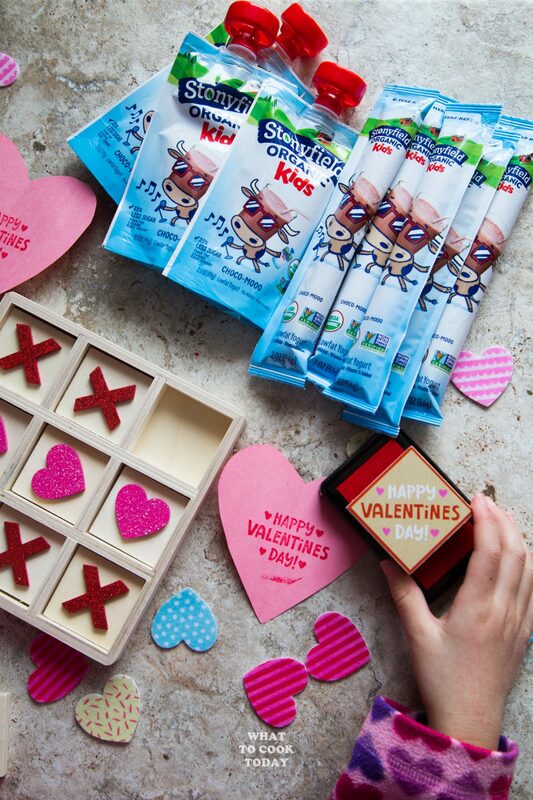 I love celebrating Valentine’s Day with the kids but I must admit that I’m not all that excited about the sugar-loaded treats that usually goes around. I’m pretty sure I’m not the only parent on the boat when it comes to this! 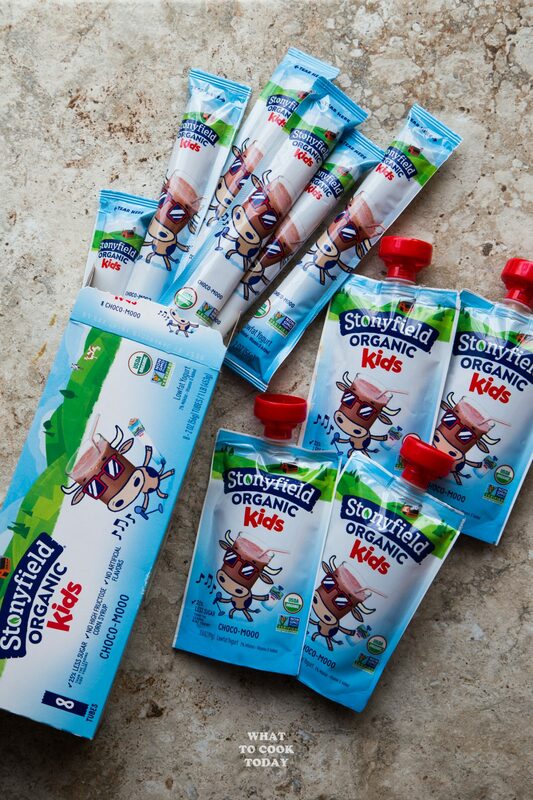 I’ve been buying Stonyfield® Organic Yogurt since my first child was 6 months old. Now she’s 7 and her brother is 4. 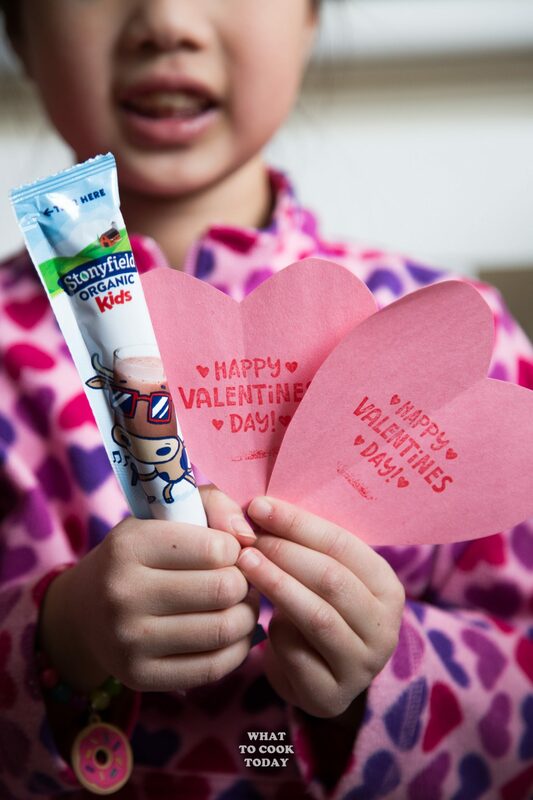 They love Stonyfield® Organic Kids®. I can feel good about it too because Stonyfield has been a mom’s trusted brand for 35 years! Yes, they are not new and still the #1 organic kid’s yogurt brand. 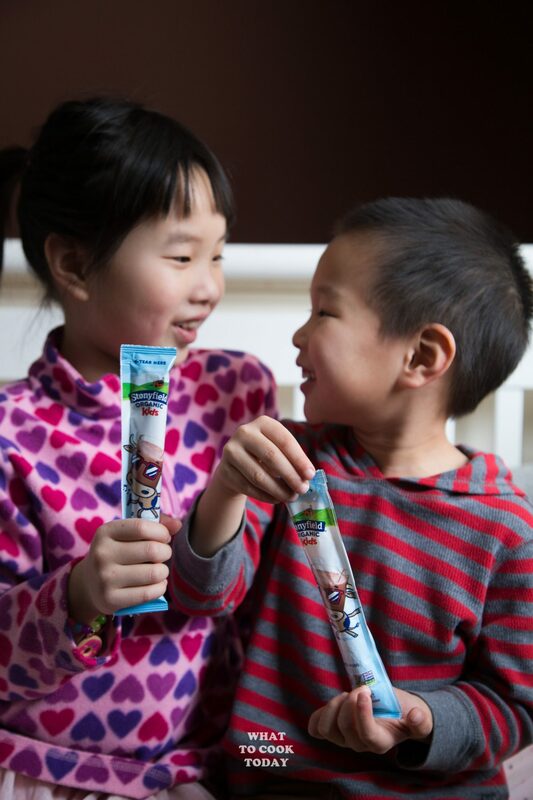 Have you heard that Stonyfield® Organic Kids® has a new flavor calls Choco-Mooo ??? 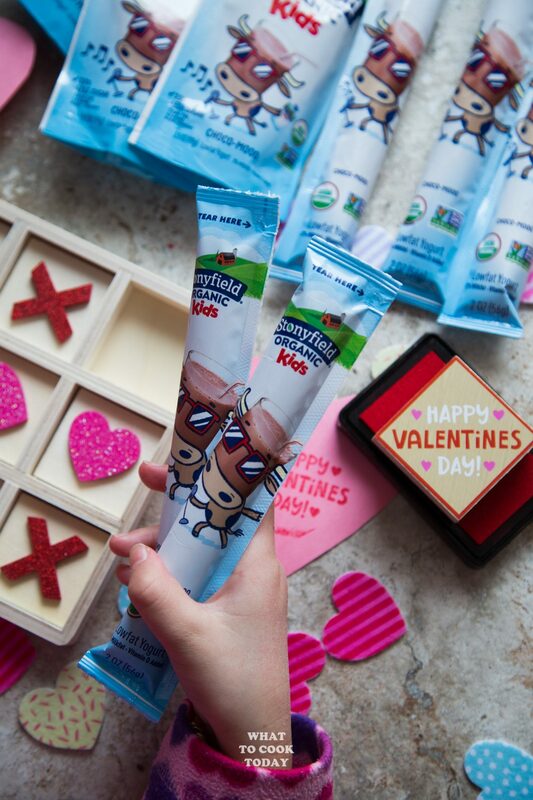 The kids were so excited to try the new Stonyfield® Organic Kids®Choco-Mooo with delicious chocolate taste (Honestly..me too!). “So good mama! You have to try them!” said the kids. 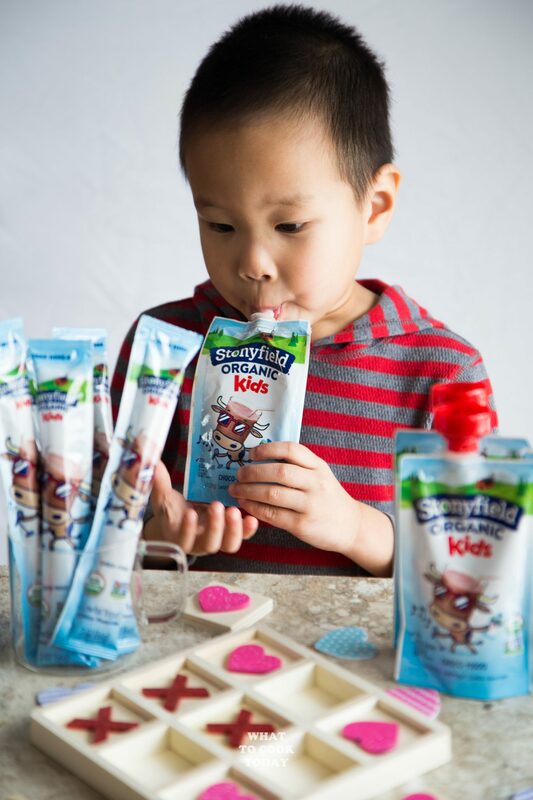 Stonyfield® announced a sugar reduction across its yogurt portfolio last year – and it started with Stonyfield Organic Kids, featuring between 25% – 40% less sugar than the leading kids’ yogurt and no high-fructose corn syrup. 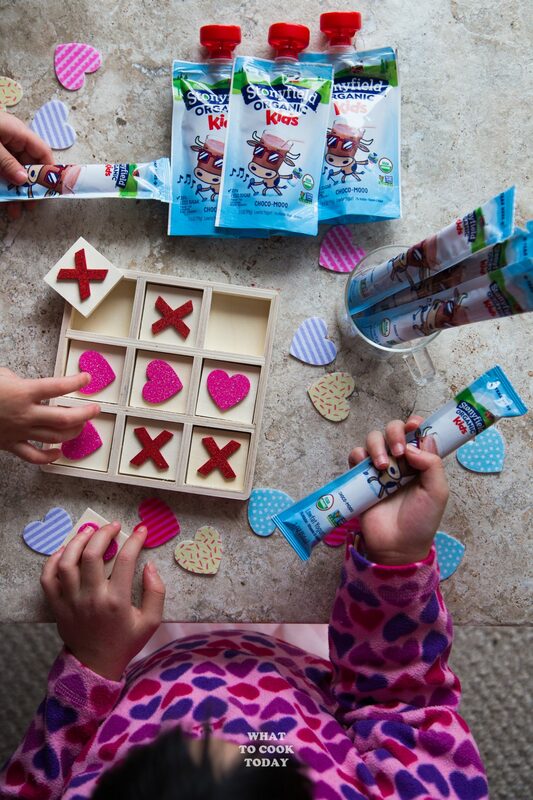 That’s like a music to my ears and it’s simply a perfect Valentine’s Day treat for the kiddos! If you are on a verge of whether to switch to organic yogurt or not, I can tell you that organic certification gives me a piece of mind that every cup of Stonyfield® Organic Kids® yogurt is always made with any toxic persistent pesticides, artificial hormones, antibiotics, and GMOs. Not only it’s better for us, but the planet too! As a certified B Corp company, Stonyfield® has the highest standards of verified social and environmental performance, public transparency, and legal accountability. They care about solving social and environmental problems we are facing these days. 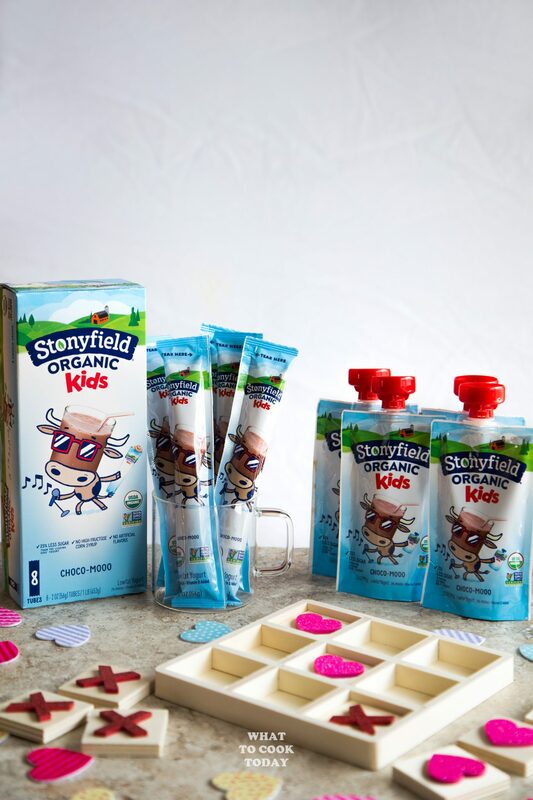 Stonyfield® Organic Kids® yogurt comes in cups, pouches, tubes, smoothies, which makes it convenient to just grab and go and the kids can still have nutritious snacks while on the go. I froze the pouches and they are perfect for when you are on-the-go too. 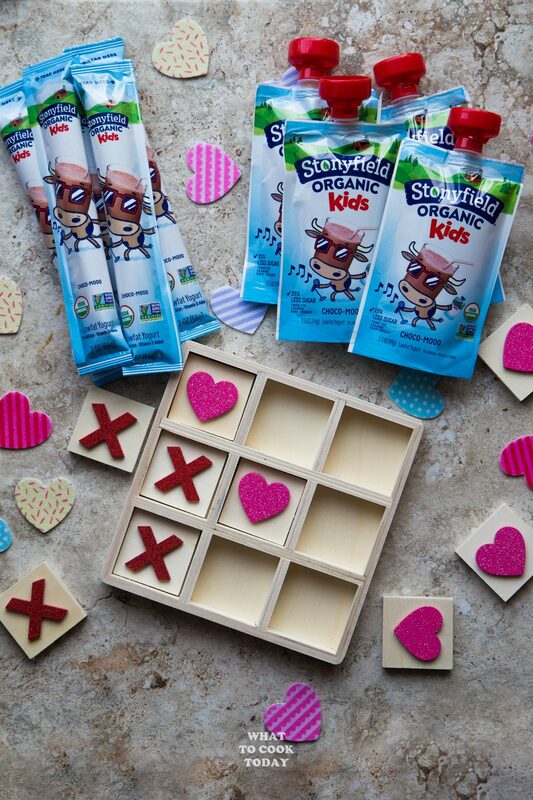 Be sure to be on the lookout for Stonyfield® Organic Kids® Fresh new look and Stonyfield® Organic Kids® Choco-Mooo. I think your kids will love them as much as ours! I’m always looking for sugar free treats for the kids to try. Hate holidays because of the candy that you can barely control !! This sounds wonderful. Must look for it when I’m in the super next time. I love Stonyfield yogurt but I’ve never seen these particular ones. My kids would flip for them just like yours! This such a great idea!! It sweet and good for them! 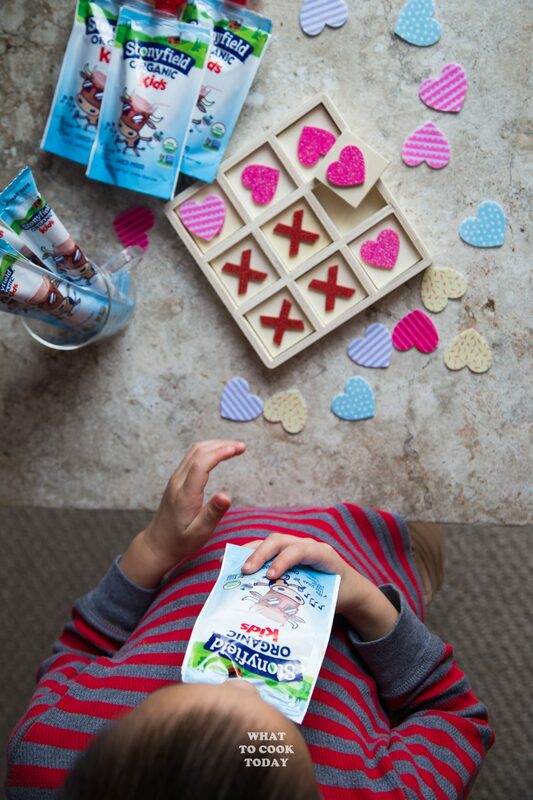 Perfect V Day treat for kids! I agree! My kids always love yogurt and now with the less sugar yogurt from Stonyfield, I’m thrilled! This new “Choco Mooo” flavor is really good! The kids enjoyed them. This new “Choco Mooo” is Stonyfield new flavor. You should check it out at the stores. I think your kids will enjoy them like ours!